Being an only release on 28th February, it was expected that this new romantic comedy of Farhan and Vidya should’ve collected more but it did not have that well on the expectations. Despite having such a talented and experienced star cast, good budget and interesting story the movie literally had a quite a low box office opening on the first day of its release, with only around 5.4 Crores, it certainly didn’t get best as was hoped to bring out on the screens. The collection raised up a little on the second day but not like a movie generally do on the Saturday and windup collecting just 7.6 Crores. Third day proved quite better as it is a weekend day- Sunday so most of the public is going to watch this film due to non availability of any other entertaining Bollywood film in theaters or multiplexes. First Day Box Office Collection of SKSE was similar to the last two releases Highway and Hasee Toh Phasee Opening Day Collection. But contrary to this fact, it could not make as great performance on box office as it was ought to have. Being a sequel, it was also predicted that much number of viewers will go for this as they should be interested to see what happened later but it seems audience did not enjoyed the sequel that well. It is definitely a onetime watchable as per my opinion and a must watch for married couples or love couples as the scenes ad story is very entertaining for them. But for the other audience, I would suggest that go for this if you do not have any other too important work. You will enjoy this commercial in bits and parts. 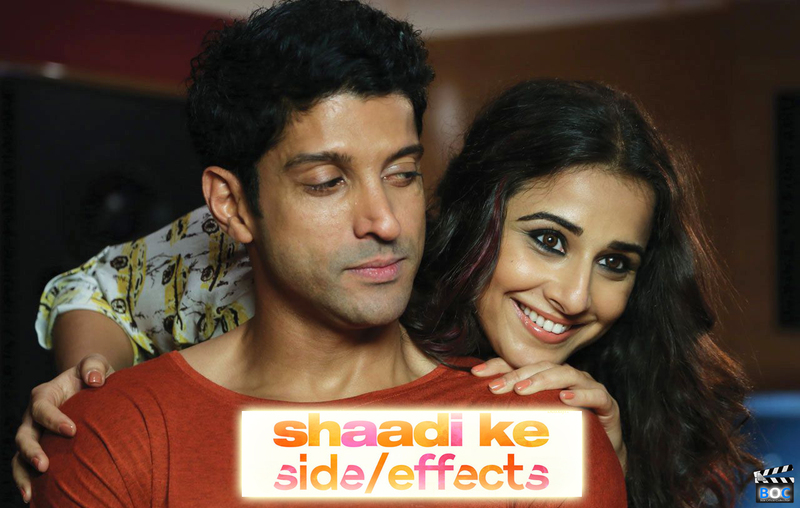 First weekend box office collection of Shaadi Ke Side Effects is around 21.5 Crores including 3rd day collection around 8.5 Crores.